Global tech companies see India’s vast offline population as untapped market. Source: Pew Research. Despite smaller screen size, mobile readers still spend more time with long-form content. Source: Social Media Today and Pew Research. Americans watch the most broadcast TV. Source: GlobalWebIndex. 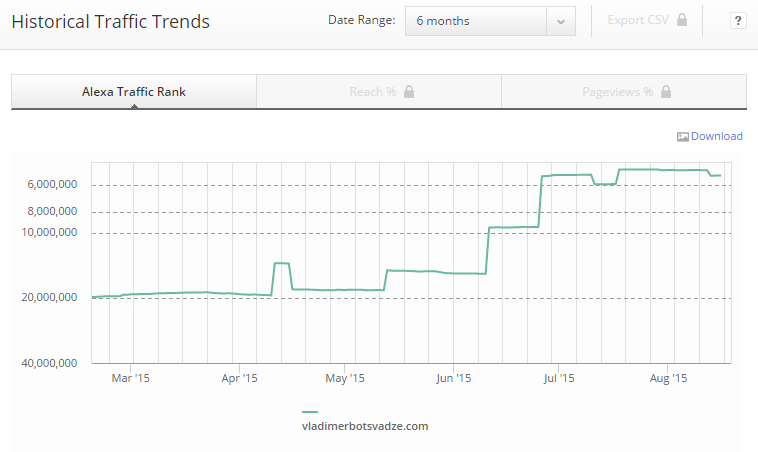 The Alexa ranking progress of my site www.vladimerbotsvadze.com. Created in January 2015. March 20M April 13M June 10M July 5.4M August 5.1M The best yet to come.